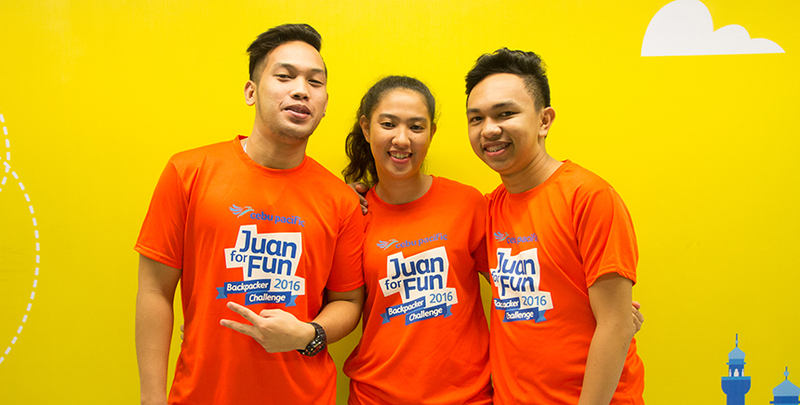 Five teams, seven days, one exciting adventure like no other — the Cebu Pacific Juan for Fun Backpacker Challenge 2016 promises all these and more. Now on its fifth — and biggest! — year, the annual backpacking escapade is bringing five teams of thrill-seeking students to exhilarating destinations — all for free. As if the once-in-a-lifetime escapade is not enough, this year’s Ultimate Backpackers, or big winners, will take home the challenge’s biggest prize yet — a Travel-All-You-Can pass. This entitles each member to as many free flights to domestic and international short-haul destinations as they want within one year. They will also win exciting premium travel gear from the challenge’s partner brands. 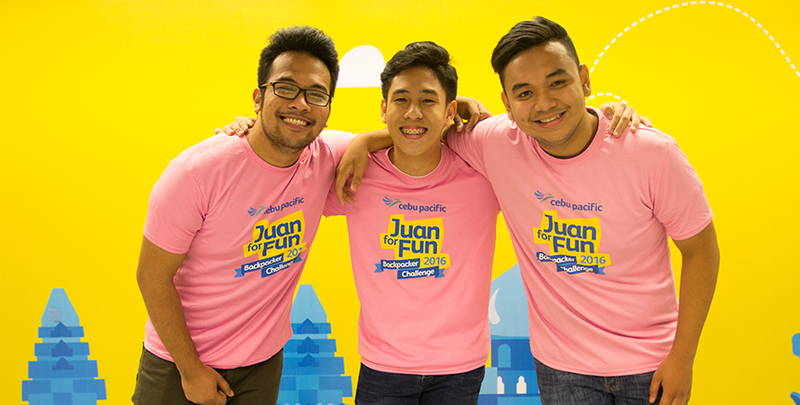 Throughout the challenge, the teams will have to take on as many exciting experiences and daring discoveries within their given travel allowance worth P35,000. They can visit the country’s renowned tourist spots including heritage sites, churches, and parks, sample scrumptious local delicacies, and get to know the locals. 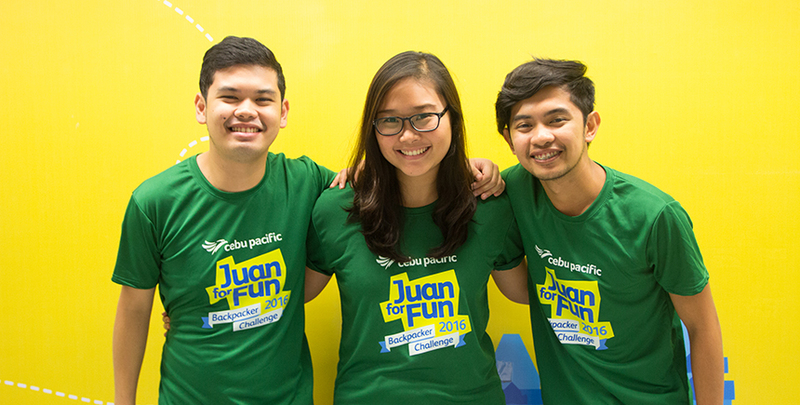 To make the adventure even more awesome, Cebu Pacific has tapped celebrity travel enthusiasts as Adventure Coaches to guide and provide advice to the teams. The list includes first-time coaches — actress, singer and blogger Saab Magalona, and TV host and VJ Robi Domingo. They will be joined by returning coaches — musician Champ Lui Pio, Internet star Bogart the Explorer, and travel writer Jude Bacalso. Throughout the challenge, these celebrities will stay in touch and cheer for their respective teams through social media. 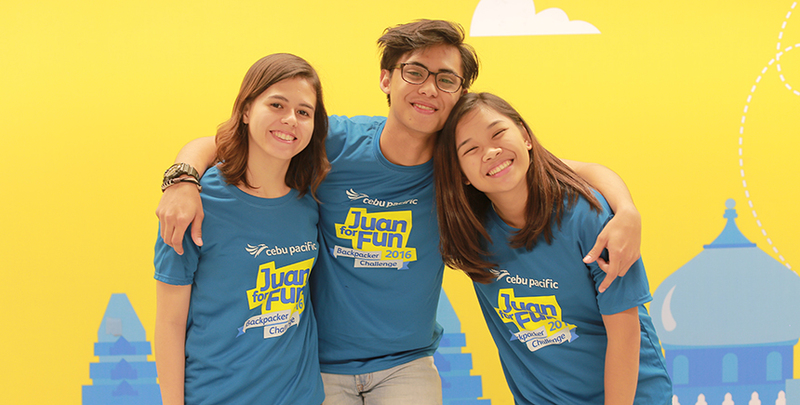 Discover daring destinations and follow the adventures of university teams in the Cebu Pacific Juan for Fun Backpacker Challenge 2016! 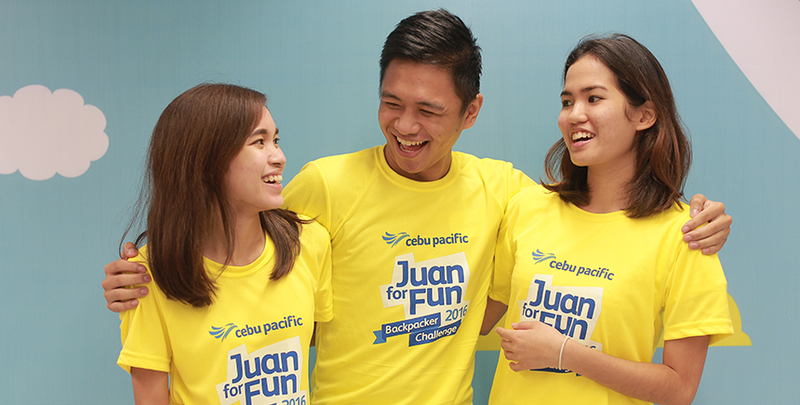 Know more by visiting www.juanforfun.com, and following the Juan for Fun (www.facebook.com/cebupacificjff) or Cebu Pacific Twitter (@CebuPacificAir) pages.